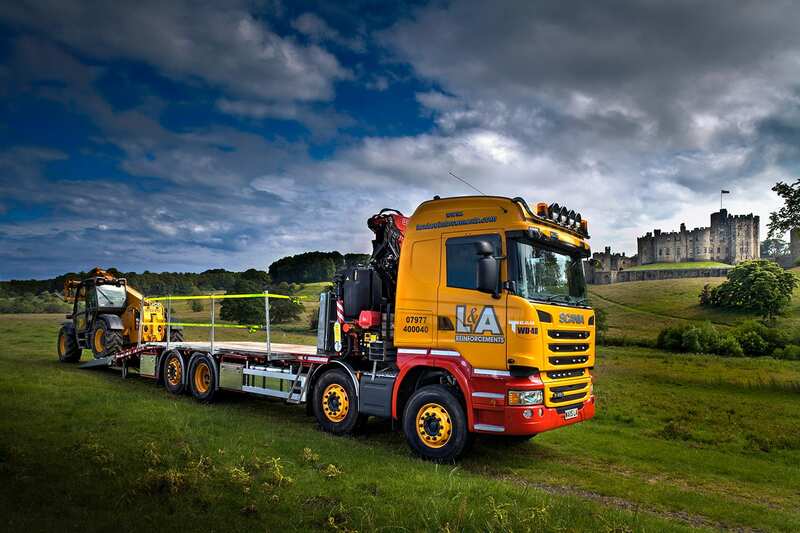 The 32T is our heaviest duty beavertail rigid body design, compatible with any 8x2 or 8x4 Chassis fitted with rear air suspension, and is available with any of our ramp systems. 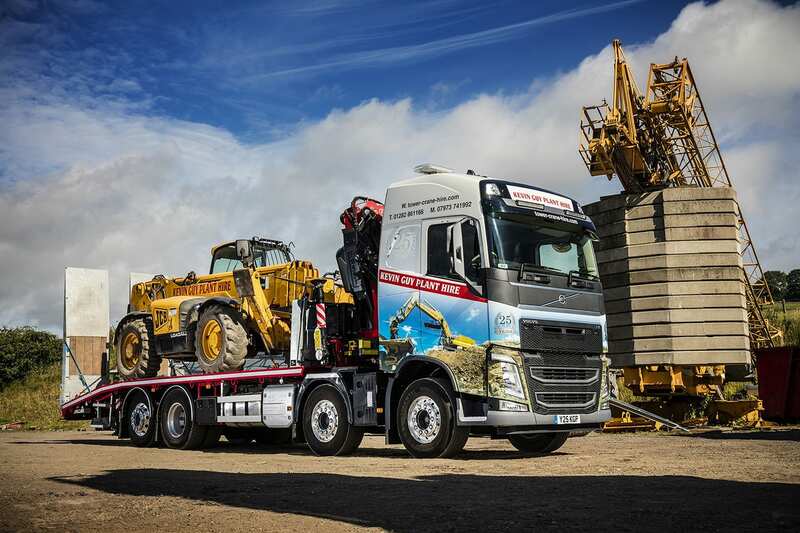 It has the strength to carry payloads up to 18-19 tonnes, but remains the lightest 32T heavy duty body on the market, giving you maximum payload. 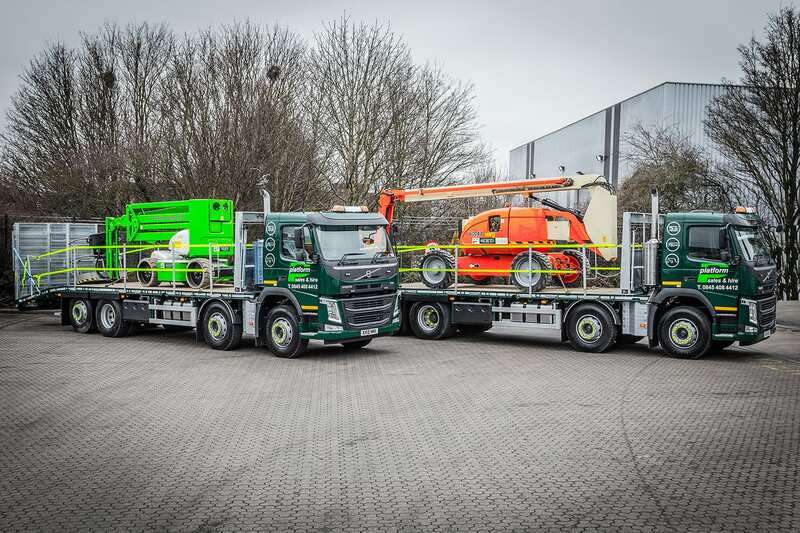 With unlimited flexibility, the 32T beavertail truck can be specified for the transportation of a huge variety of machines, from large boom and scissor lifts for the access industry to the transportation of up to 13-14T excavators for the plant hire industry, as well as many combinations of smaller machines. 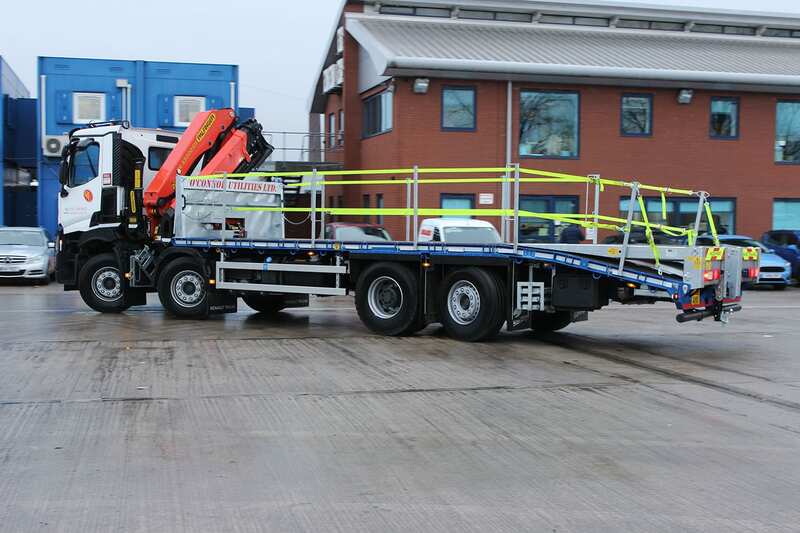 The 32T beavertail plant body is also suitable for chassis fitted with front mounted lorry loader cranes. This makes it perfect for transporting up to 20 and 32 foot cabins and welfare units, when specified with fold-forward Cheesewedge ramps. The Sterling fold forward ramps give a totally flat deck when folded, ideal for transporting any non-powered equipment, giving maximum usable deck space. 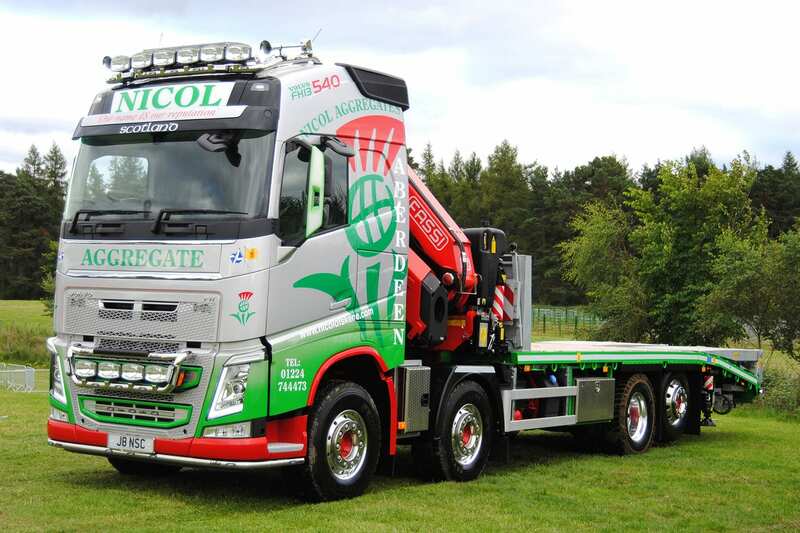 This body can be specified with up to a 9.5 metre deck length, when fitted to a chassis with a day cab. 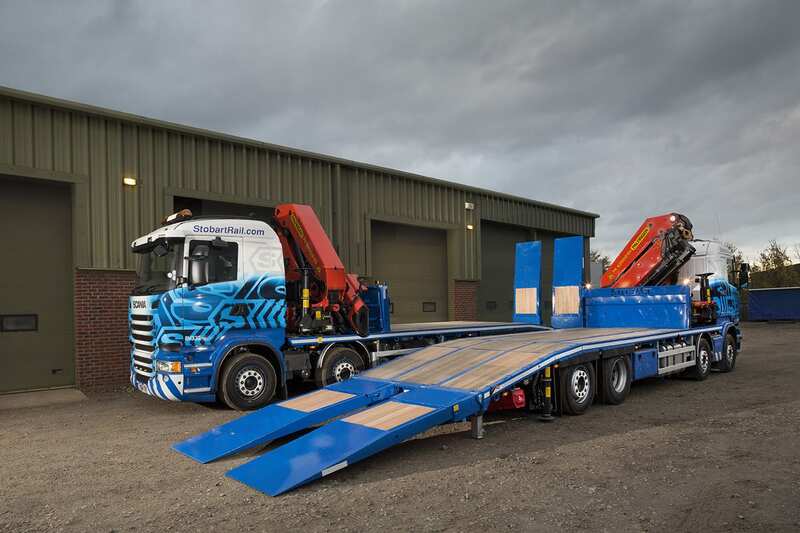 Furthermore, all configurations come as standard with galvanized ramps and headboards, for maximum corrosion protection and therefore longevity and lower maintenance costs. Peace of mind is also guaranteed with build times, as we hold National Small Series type approval for most Chassis configurations, meaning we are not reliant on IVA testing to meet delivery dates. Our stringent Quality Assurance processes, combined with high quality materials and CE marked components, guarantee the reliability of the product and minimise down-time. Those exacting standards extend to our customer service too, the Sterling culture of integrity means responding quickly and keeping you informed at every stage of the process. Our products are built using only the finest and strongest materials, finished off with a galvanising process that ensures they stand the test of time. This eliminates the need for costly maintenance, making the cost of ownership lower. It also means that many truck manufactures value a truck fitted with a Sterling body with up to 10% higher residual value. Intelligent additions, like our electro-hydraulically operated ramps, not only save effort, they save fuel too. That means lower operating costs overall. Or how about something you can’t put a price on? The unique shallow loading angle of our cheesewedge ramp dramatically improves loading safety, giving you peace of mind. Intelligent innovations are made all the better when they are easy on the eye. Our clean aesthetics give a visual boost to your brand image, hiding rams on our cheeswedge design and keeping overall clutter to a minimum. 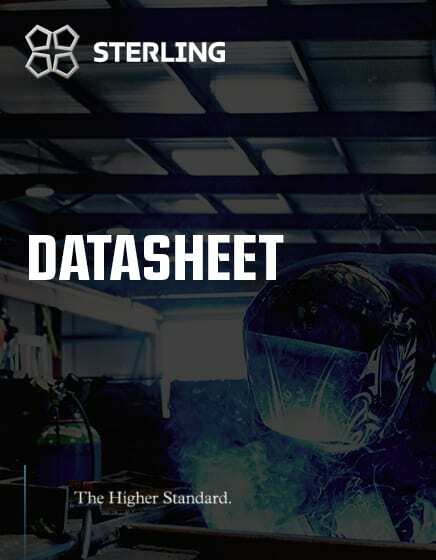 Download this datasheet to give you all the information you need to know about the 32 tonne beavertail body. Complying With Work At Height Regulations On Trucks. 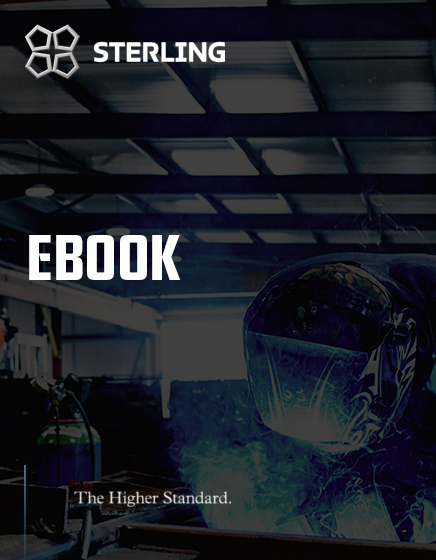 Download our latest E-book on Work At Height regulations and how it related to trucks.